Occupation: Retired Business Development Director. Why CWB: I first heard about CWB seven years ago. Having recently retired and having had a life long involvement with cricket as a player and administrator, this was another challenge for me. My first project was in Uganda in 2012 and it was everything I hoped it would be. I returned there in 2014 and picked up where I left off and was lucky enough to be part of another great team. Fun fact: I first found out about CWB from someone who was buying our house in Oxfordshire. We then went to Uganda together! Why CWB: I have always had a firm interest in Medicine throughout the world and was inspired to make a change after visiting Townships in South Africa in 2016. The opportunity arose and I jumped with both feet to sign up for the Rwanda 2018 trip. I am so excited to travel to a Sub-Saharan country and hope to empower and inspire as many children as I can whilst raising crucial awareness of HIV and the importance of being tested. Fun Fact: I will be flying out the day of my 18th Birthday! Celebrations are being put on hold until I return to the UK. 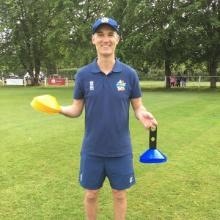 Why CWB: Having run All Stars at my local club for the past two years, I have loved teaching children how to play cricket in a fun environment. I also really enjoy travelling so when I saw an advert for Cricket Without Boundaries it caught my attention.I am typically risk averse so thought that this experience would be totally out of my comfort zone but would be life enriching. So far it has been exactly that. Fun Fact: As well as having three amazing children, a beautiful and supportive wife and a daft dog I also help look after our 30,000 bees at home. Why CWB: I want to top up my ASQ (annual smile quotient), to learn from other team members and from the children and people of Rwanda. 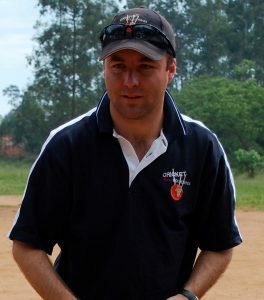 Fun Fact: I took a wicket with my first delivery in Africa, on the same trip a dead vulture almost landed on my head! 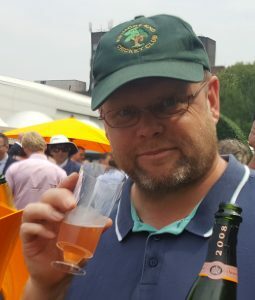 Why CWB: I am a lifelong Cricket fan who still plays for the Primrose Hill Elephants – Dad’s team so called because we are large, slow & grey. I also visited Rwanda twice on business in the 1990 & 1991 & loved the place. 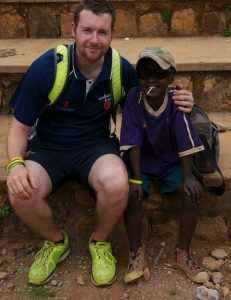 When I first heard about CWB via a BBC radio show in 2014 I thought it sounded a wonderful charity & a quirky blend of two causes – to improve kids’ lives through igniting zest for Cricket and building HIV/AIDS awareness was such an inspired idea. So here I am – and I can’t wait! And hopefully I will also lose a few kilos in the process. Fun Fact: My first Saturday job when I was 16 was selling shoes. I even have a certificate to show I’m trained. It’s good to have a trade to fall back on if all else fails! 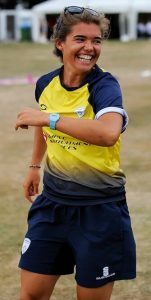 Why CWB: My life is all things cricket! I was given a chance to turn a hobby into a career 3 years ago and feel very lucky to have that opportunity. Over the years I have gained lots of experience, I want to put this to some good use, Aids/HIV still has an unnecessary stigma and to be able to influence, inspire and make a difference is an exciting prospect. I was very quickly labelled Mama YCB and feel this could be repeated once we get to Rwanda. Now it’s time to give something back… Rwanda here I come! Why CWB: Love cricket, love teaching children, love a challenge, why would I not volunteer!! 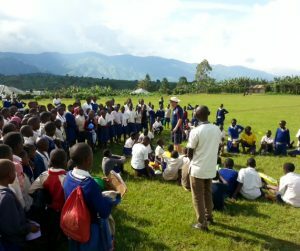 Help to make a difference to the lives of some of the children and young adults in Rwanda, help reduce the stigma attached to HIV/Aids and bring fun and smiles to all. The two weeks will be challenging, I will sometimes find myself out of my comfort zone, I will sometimes be daunted and I am so looking forward to it!! Fun Fact: While night skiing some years ago I slipped off a button lift which pinged up and broke the overhead cable, which in turn cut the electricity supply to the lift and the floodlights on the mountain, with people still skiing down, and then plunged half of the ski resort into darkness, it took hours to fix, no more skiing for anyone that night, oops…. 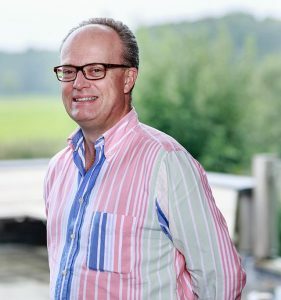 Why CWB: I am one of the founding trustees of the charity and have always been inspired by the power that sport, cricket in particular, has in uniting people and communities. I haven’t had the chance to actually get out on a CWB project for a number of years and so very much looking forward to being back in Rwanda for the first time since 2010 and seeing the impact of our work on the ground. 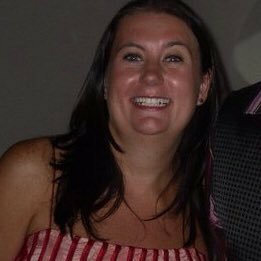 Why CWB: CWB is a charity close to my heart, having originally volunteered for my first project back in 2011. Worn many hats for CWB in the following years, including Project Lead, Tutor, Country Manager and even a cycling helmet. I’m really looking forward to seeing old friends, witness the charities ever evolving delivery methods and of course make whatever difference I can. Fun fact: Once cycled a long way through Africa for CWB’s 10 year anniversary with the famous actor Carl Ferguson. Next Post Final call for passengers to Addis Ababa!